Something is growing underneath La Chapelle, a neighborhood north of central Paris. It's an underground farm by Cycloponics, a local indoor farming startup that harvests lettuce, herbs, and mushrooms in a space it calls la caverne (the cave). The farm uses an agricultural technique called hydroponic farming, in which greens are grown under LEDs in nutrient-rich water without sunlight or soil. Since late 2016, Cycloponics has grown vegetables in a 37,700-square-foot farm underneath the streets of Paris. The 10-person team calls its farm "the cave." It's located beneath a 300-unit affordable housing complex. The space was formerly an abandoned parking garage. 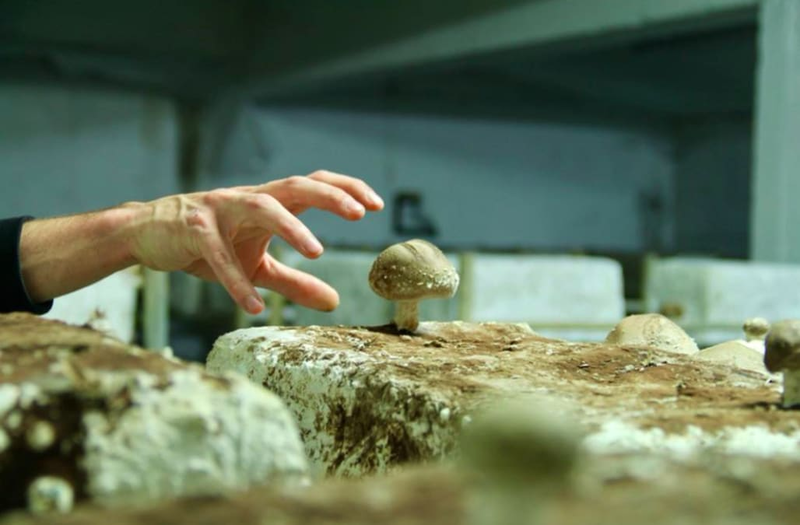 Clusters of button, shiitake, and oyster mushrooms grow on bricks of composted manure. The farm also harvests chicory (a root commonly used as coffee substitute in Europe), which doesn't require any sunlight to grow. The startup produces around 660 pounds of the crop each month. LEDs adjusted to specific light spectrums help grow microgreens. They sit in beds of nutrient-rich water rather than soil. The growing trays are stacked on top of each other. Each month, the team harvests 4.5 pounds of greens. Cycloponics launched the farm with the goal of growing veggies year-round and closer to the city compared to traditional outdoor farms. The team sells its produce at local farmers markets, restaurants, and independent grocery stores. Eventually, the startup aims to expand and produce 54 tons of fruits and vegetables per year, according to Le Monde. Cycloponics strives to be a "part of the renewal of the tomorrow’s cities by transforming unused urban space to produce amazing vegetables," according to the team.